Join the authors for an evening of Kalamazoo history mixed with the paranormal world. 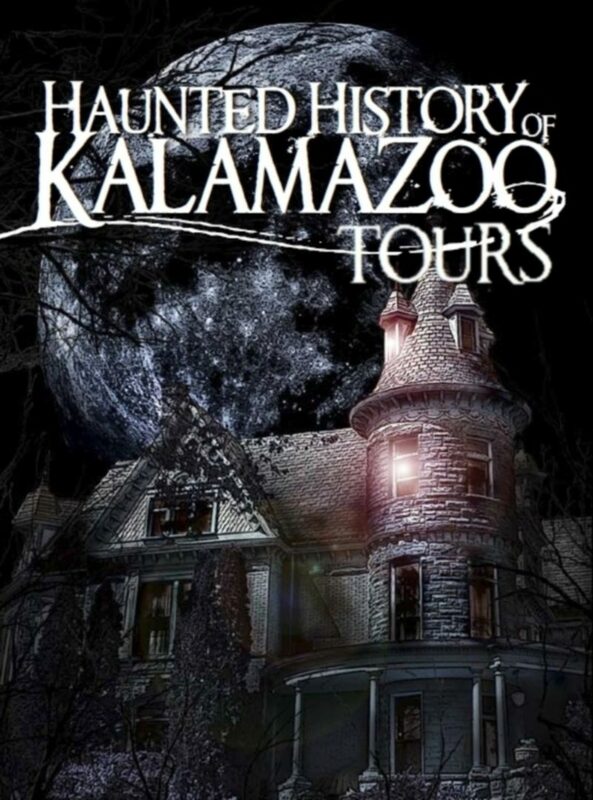 Each tour guide will portray a member of Kalamazoo's past to heighten your historical experience.The Haunted History of Kalamazoo Walking Tour begins and ends at Bronson Park, covers just over a mile and takes approximately 2 hours. All Tours require advance registration and payment. If there are any tickets remaining the day of the tour they will be available on site; the price will be $15 for any walk-ups. Hear about the following stories:? And over 10 more haunted locations!! Tickets are refundable until 7 days prior to the event, after that they are non-refundable unless we cancel the event. This event is rain or shine. We only cancel the tour in the event of severe weather. Any cancelation notifications will be sent to the e-mail address used when making your reservation. Please check your e-mail before arriving if you suspect the event may have been canceled. We will have your registration information on site. However we do ask that you bring a printed ticket or have the Eventbrite app installed in the event of a clerical error.